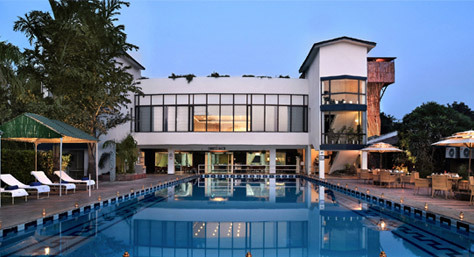 The hotel is located on Pachgaon- Mohammadpur Road, near Manesar in Gurgaon. The hotel is situated about 45 kms away from IGI Airport New Delhi whereas the Bus Stand is located at a distance of 55 kms from the hotel. Hotel Best Western Resort Country Club offers accommodation in luxurious rooms equipped with amenities such as television, tea/coffee maker and toiletries. Business as well as leisure facilities, such as a fitness centre, a spa, and a multi-cuisine restaurant and bar serving cuisines and spirits from around the world are also available. 1 night accommodation in well appointed room. Free use of gymnasium, swimming pool, mini amusemant park, cricket net practice, pool table, Table tennis etc. Rain dance in Summers & bonfire in Winters.